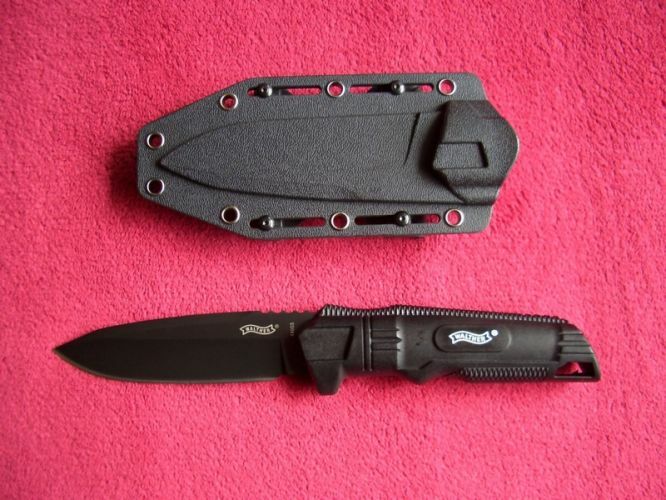 WALTHER BACKUP is a compact tactical fixed blade knife with a sharp peak. The blade is made of stainless steel grade 440 SS. Handle is made of polymer black in color. Available complete with sheath of polymer. There is scope for horizontal carry.